We’ve compiled a list of the Top 5 Socks for living the Van Life. Some are warm, some are practical, and some are just down right awesome. But hey, if you can’t appreciate a good pair of socks then you’re probably already a lost cause. Whoever knew that you could find a Carbon Ceramic heating element inside a pair of socks? Well, according to Warmawear you can, and it’s a reliable and energy efficient way of heating up your toes in those cold climates. 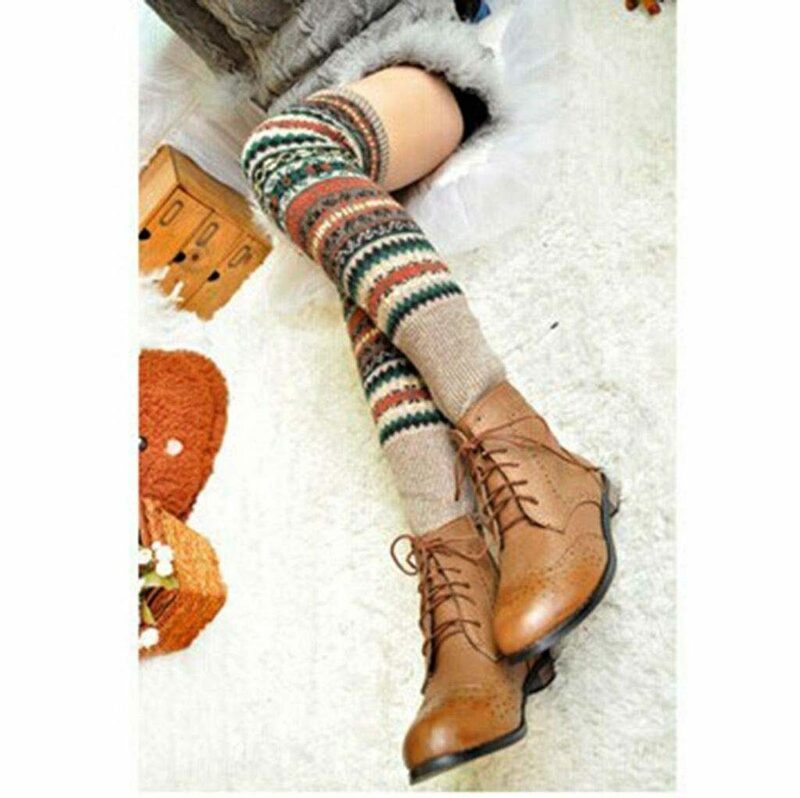 With up to 5 hours of heating time, these warm woollen socks are comfy as well as practical. They’ve also got a reflective strip on them, so if you happen to be cycling through the arctic then the polar bears will know to keep well away from you. If you’re living the van life then you should be living it to the max. 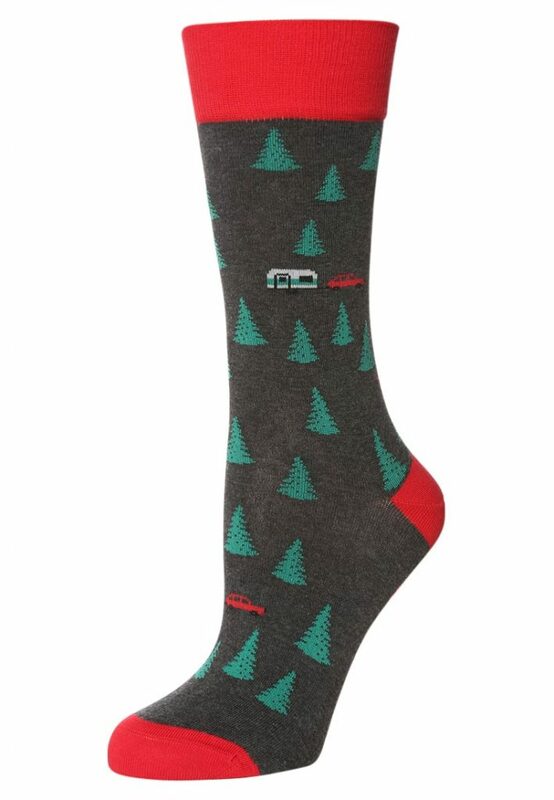 Nothing says ‘I wish I was a camper van’ like these awesome camping socks from Jimmy Lion. 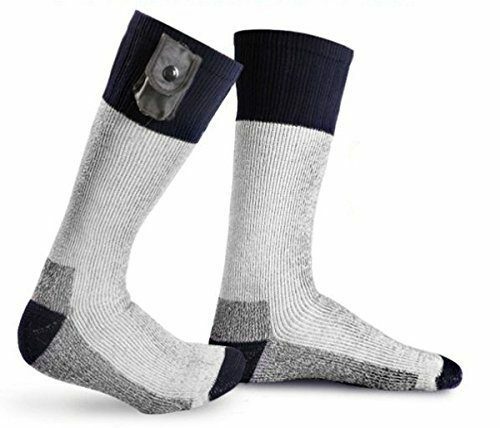 Complete with little trailer, trees, and the trusty towing vehicle, these socks are a fun way of letting everyone around the campfire know who the real boss of off grid living is. You can grab your own pair from Amazon for just £8.48! Sorry guys, but this one’s just for all of the van girls out there. Picture this; you’re in the alps somewhere, and your legs are freezing. Do you A) create trousers from hot water bottles, B) stick loads of hand warmers down to your legs, or C) wear an extra long pair of socks. C is probably the safest and easiest option. Apart from looking extremely cool, they will keep you nice and toasty. No more frozen pins whilst you’re out walking now! £7.58 of your hard earned cash. 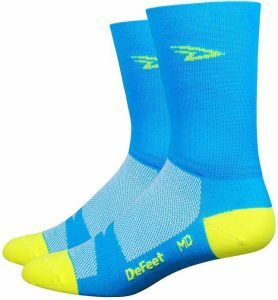 Bright enough to flag down a passing air ambulance or confuse a raging bear, these Hi-Vis socks from Defeet are considered the very best amongst members of the sporting community. 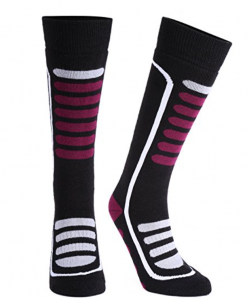 Named after it’s Aireator mesh weave over the top of the foot, these are the maiden socks that launched the Defeet brand. What’s more, they’re made from recycled plastic bottles too, so they’re completely eco friendly. (which means more time hiking and less time showering). Van Life Gear and Top Off Grid Products.